The organizers have said the Tokyo 2020 Olympics will be “the most innovative ever organized, and will rest on three fundamental principles to transform the world: striving for your personal best (achieving your personal best); accepting one another (unity in diversity); and passing on a legacy for the future (connecting to tomorrow)”. 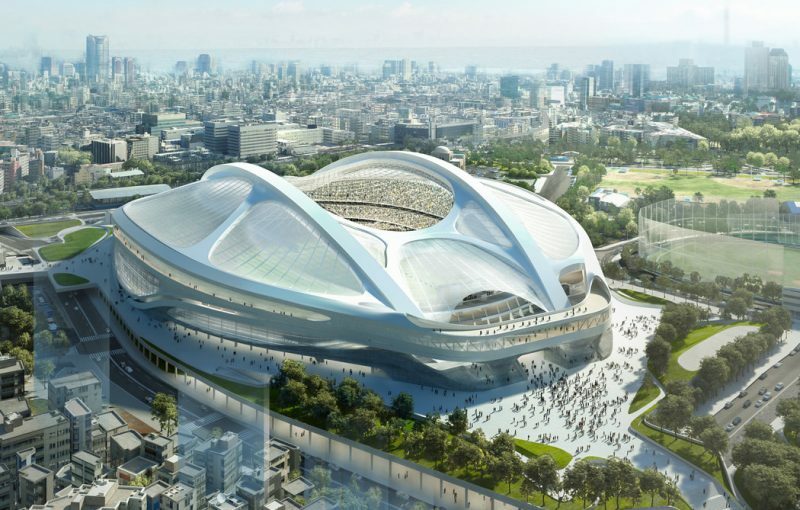 This handy Tokyo 2020 guide will give you an overview of the games including important dates, exciting events, sports venues, and ticket information. The Tokyo games will take place over 17 action-packed days from July 24 to August 9. The Opening Ceremony will be held on July 24 at Tokyo’s Olympic Stadium. However, the sports action will actually start two days before with the first soccer and softball matches. The qualifying rounds for rowing and archery will start on the day of the ceremony. On July 25 the games will heat up as 21 different sports will start including gymnastics, fencing, tennis, table tennis, shooting, and cycling. The absolute peak of the excitement will be the finals of the athletics which will take place between July 31 and August 9. The Closing Ceremony will happen on the last day of the games (August 9). The Tokyo Paralympic Games will start 15 days after the closure of the Olympics, from August 25 to September 6. Overall there will be 540 events across dozens of different sports. The Tokyo 2020 Olympic venues will be in two main zones: the Heritage Zone (the area of the ‘64 Olympics) and the Tokyo Bay Zone (which will feature newly-built venues). The two zones will overlap to form the shape of the infinity symbol to symbolize the legacy of the games and the link between past, present, and future. In total, 43 venues will be used. Tokyo Bay Zone will be the largest with 13 venues, the Heritage Zone will contain 7, and there will also be some outlying venues for sports with specific requirements. Thousands of volunteers, who will be the ambassadors of the Olympics, will help to ensure the smooth-running of the stadiums. The New National Stadium will serve as the main stadium, as it did in the ‘64 Olympics. The stadium is being rebuilt in the same spot and it will hold 68,000 seats. All the track and field events and the opening and closing ceremonies will take place there. The closest station to the National Stadium is the Sendagaya Station (Shinjuku district) on the Chuo-Sobu Line. The Tokyo Olympics will feature 339 events across 33 sports and 50 disciplines. There will be 5 new sports (baseball/softball, karate, skateboarding, climbing, and surfing) as well as 15 new events within existing sports (such as 3-on-3 basketball and freestyle BMX). Here is a complete list of the sports and disciplines. Some sports are a singular discipline. 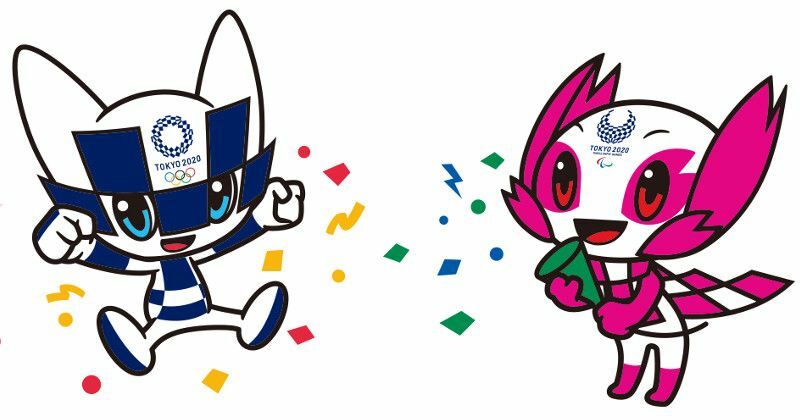 The Tokyo 2020 mascot is a futuristic, indigo-blue character called Miraitowa who has the Tokyo 2020 emblem across its head and body. The design process included 5 million children across Japan who gave their feedback. Miraitowa’s personality is derived from a traditional Japanese proverb which means to learn old things and to gain new knowledge from them. The mascot has a strong sense of justice and has the special ability to be able to move anywhere instantly. The 2020 Paralympic mascot is pink and called Someity. It has cherry blossom tactile sensors and 3 superpowers: telepathy, telekinesis, and the ability to fly using its special cloak. Someity has a dignified inner strength and loves nature. Both characters have the Tokyo 2020 logo on their head. Tickets will go on sale in phases starting from the spring of 2019. Japanese residents will have the first chance to but apply for tickets before they are available to international sports fans. People living outside of Japan will be able to apply for tickets through the National Olympic Committee of their country or through an authorized ticket seller. A list of these organizations will be published on the official Tokyo 2020 website along with regular announcements and updates. The basic ticket prices will start from 12,000 yen and the most expensive will be 300,000 yen (for the opening and closing ceremonies). There will be some tickets for a lower price (2,020 yen) for certain groups of people such as senior citizens, children, and people with disabilities. Tokyo 2020 is also planning to offer a hospitality program. The Tokyo 2020 Olympic Torch Relay will start on March 26, 2020, and it will pass through all 47 prefectures in Japan. It will start in Fukushima Prefecture and then venture southward. In a few years time, the Olympic Torch will make its way to France for the Paris 2024 Olympics. The next winter Olympics will be Beijing 2022. Japan has long been known for its groundbreaking research and development in a variety of technologies, and these will be prominently on display during the 2020 Olympics. Within the Olympic Village, humanoid robots will be available to give you directions to nearby accommodations and attractions. Technology is also under development that will allow holographic updates of happenings within the stadium. 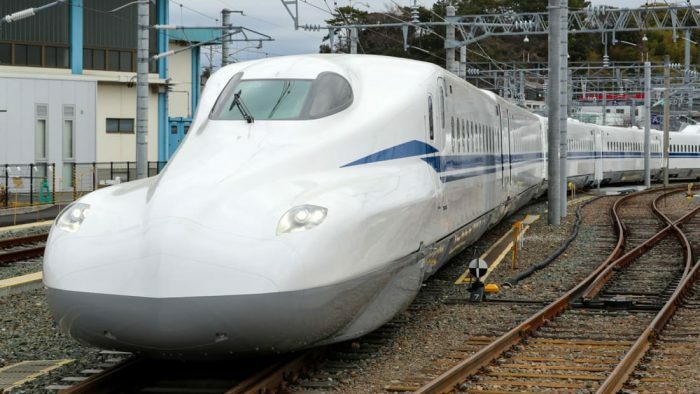 Regarding transportation, Tokyo will again introduce the world to its fastest train yet. 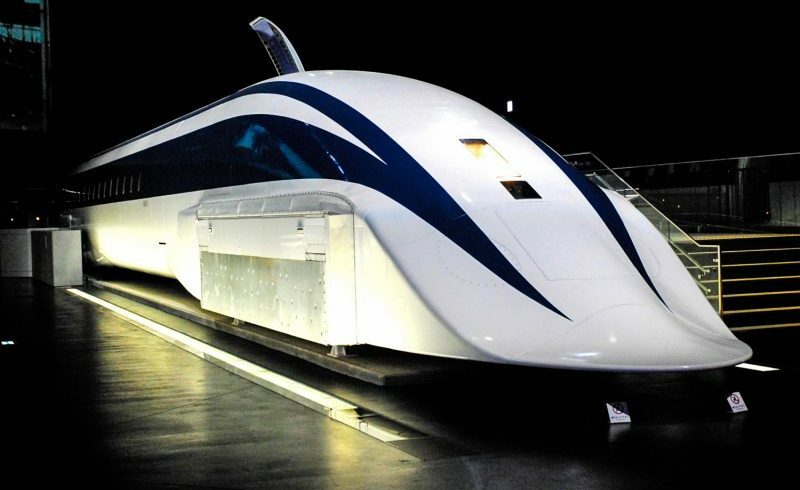 While not planned to enter commercial operation until 2027, the Maglev will make its debut at the Tokyo Olympics. This train has broken all land speed records and is capable of reaching speeds more than 374 miles per hour. These future trains operate on the principle of magnetic levitation, enabling the train to hover above the tracks. It is this lack of friction that allows the train to reach tremendous speeds, while still adhering to stringent Japanese safety standards. Also, the new Shinkansen N700S series, also called Shinkansen Supreme, will make its debut in 2020 just in time for the Olympics. This smarter and quieter train has been redesigned and will run on the Tokaido Shinkansen line, between Tokyo Station and Shin-Osaka Station. Thanks to being 11 tons lighter than the previous generation, it will consume less energy. In honor of the event, the Yamanote Line will be even inaugurating a new station: Takanawa Gateway Station. This station will be located between Shinagawa and Tamachi Stations, and will provide access to the Haneda Airport Monorail and the JR Keihin-Tohoku line. 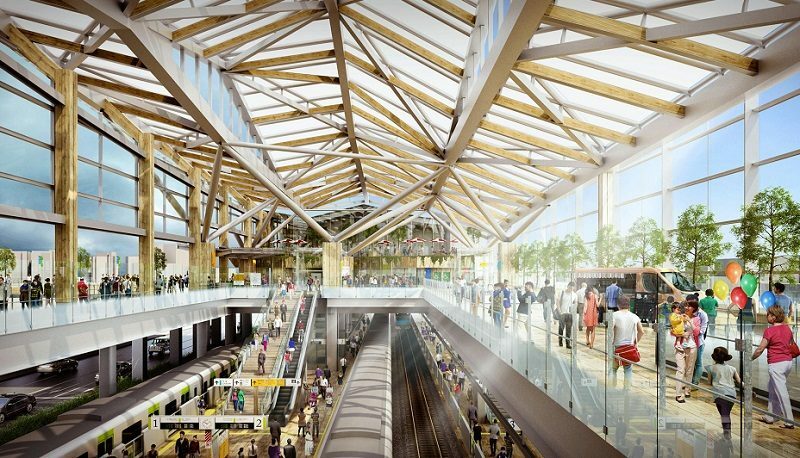 Designed in the eki naka style, Takagawa Gateway station will be four stories in height, and the public area will host a large screen for viewing the games. Besides, the Tokyo metro system and JR East have been named official partners in the Tokyo 2020 Sponsorship Programme. 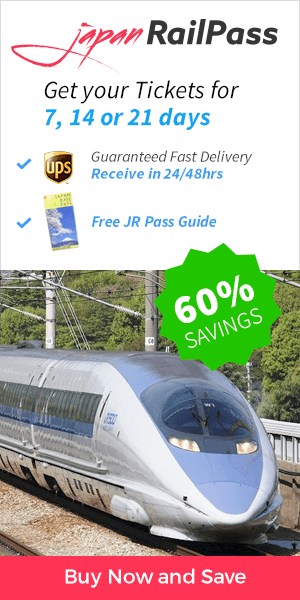 Their goal is “to contribute to the growing enthusiasm (…) by providing safe and comfortable transportation services” said JR East President and CEO Tetsuro Tomita. Begin making your travel plans now so you won’t miss out on this once in a lifetime event, and let your JR Pass make travel fast and easy.